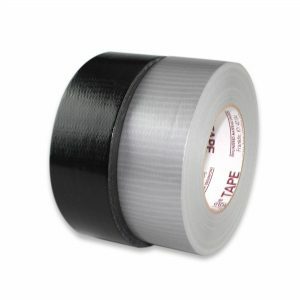 Premium?Cloth Fluorescent Gaffer Tape in Matte Finish, 60 Yard?Length?11.5 mil thickness. 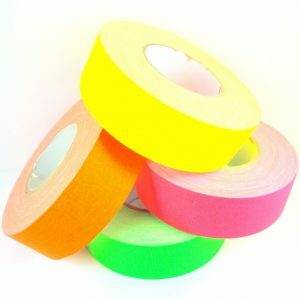 Heavy-duty Fluorescent vinyl-coated tape with a strong natural rubber adhesive. 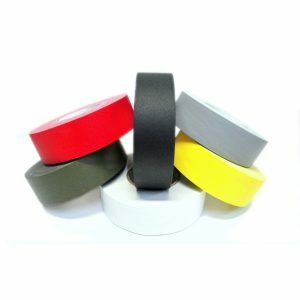 This product has a matte-finish for less reflectivity and low sheen. 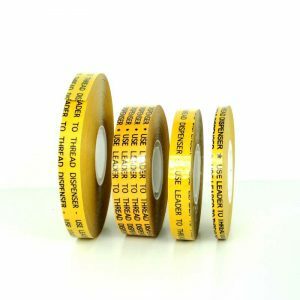 Used for wrapping or bundling wires, tools, and handles. 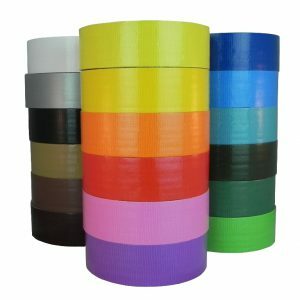 Suitable for bookbinding and entertainment type applications (trade shows, photography, film industry) where minimal visibility of tape is desired. 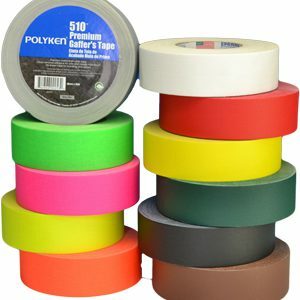 Allows for a clean removal, leaving no residue.